One nasty virus could expose your financial information or stop your computer from working at all. What you need is the best antivirus software possible on your computer. Fortunately, some of the best are also completely free! Many companies offer free versions of their popular antivirus programs for home users. A few of our favorites are Avast Free Antivirus and AVG Anti-Virus Free, but be sure to look through the alphabetical list below to find the best free antivirus for you. We've included no trial or shareware antivirus programs in this list. These are the best freeware antivirus programs, and they work similarly to, or better than, expensive programs from companies like Norton and McAfee. See these free on-demand virus scanners if you're interested in free antivirus tools without constant virus protection, or these free online virus scanners for an online-based scan of a file. If those aren't enough, try a bootable antivirus program. Protects against spyware and viruses. Schedule to run a quick or full scan. Some features require a paid version. Lavasoft's Adaware Antivirus Free program is different than the "Ad-Aware" you may already be familiar with. This program is a true, always-on, completely free antivirus program. If our list was anything other than alphabetical, Adaware Antivirus Free probably wouldn't head up the pack, mainly because email scanning isn't supported. However, if you love Lavasoft's other free products, Adaware Antivirus Free is a pretty solid choice. Adaware Antivirus Free supports Windows 10, 8, 7, Vista, and XP. No USB or email scans. Can't exclude certain types of files from a scan. Amiti Antivirus is a free antivirus program that includes heuristic scanning and supports 4 different scan types, including one that can check for viruses that are currently running in memory. I really like how easy Amiti Antivirus is to use. All the settings and options are organized on the left side of the program in their respective areas without being overly cluttered. There's also a tool included in Amiti Antivirus that can be used to quickly clean temporary system and Internet Explorer files to free up disk space. Amiti Antivirus can be used with Windows 10, 8, 7, Vista, and XP. Long history of virus protection. Silent mode hides alerts during gaming. May try to install unrelated (safe) software. AVAST Software's Avast Free Antivirus most certainly deserves to be on any list of the best free antivirus programs. It has fully functioning antivirus and antispyware engines protecting your PC from threats from the internet, your files, emails, and even instant messages. One big reason Avast Free Antivirus is included as a best free antivirus program is because of its "heuristics engine" which can detect previously unknown viruses and other malware. AVAST has been making this antivirus product since 1988 and is often cited as the most installed antivirus product. Avast Free Antivirus supports Windows 10, Windows 8, Windows 7, Windows Vista, and Windows XP. Stops viruses, spyware, ransomeware, and other malware. Blocks unsafe downloads, links, and email attachments. Slows computer more than other anti-virus software. Not many extras compared to competitors. AntiVirus Free from AVG is one of the best free antivirus software tools available and is probably one of our favorites. AVG AntiVirus Free is a full-fledged antivirus and antispyware tool, includes an email scanner, link scanner, scheduled scanning options, automatic updates, and more. There is no need to pay for an antivirus program when one this good is just a download away. The huge number of premium features, ​the frequency of updating, and install-it-and-forget-it aspect of AVG's AntiVirus Free really do make it one of the best of the best free antivirus programs available today. AVG AntiVirus Free works on Windows 10, Windows 8, Windows 7, Windows Vista, and Windows XP. There's also a Mac version. Avira Protection Cloud evaluates suspicious files in real time. Doesn't slow down the computer running it. Configuration is challenging for novices. No VPN or social network protection. Avira Free Antivirus protects you from viruses, Trojans, worms, spyware, adware, and various other kinds of malware, making it a fully functional anti-malware tool and one of the best free antivirus programs. 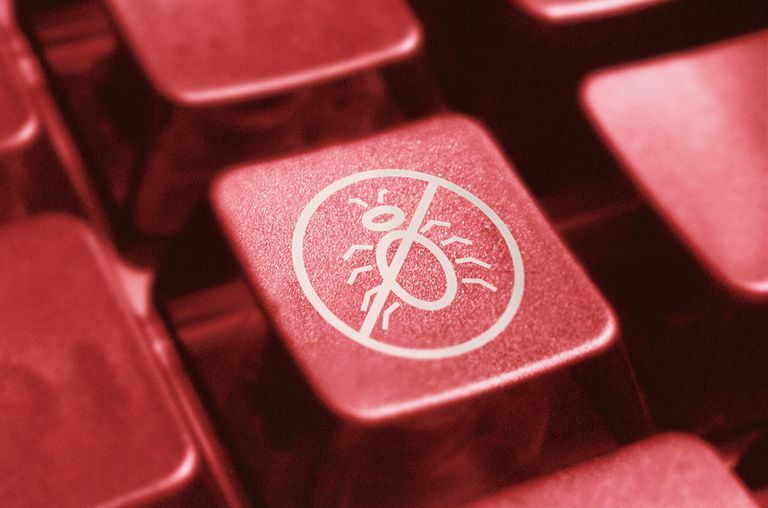 The scope of malware that Avira Free Antivirus can keep you safe from is alone enough to make it one of the best free antivirus software programs but the heuristics and ease of use add to its value, too. The only things we didn't like about Avira Free Antivirus was the configuration you have to complete after installation which might be intimidating if you're a computer novice. Avira Free Antivirus works on Windows 10, Windows 8, Windows 7, Windows Vista, and Windows XP. Avira can also be used on a Mac computer. Detects and removes all malware. Bitdefender Antivirus Free Edition is on par with any of the arguably better-known free antivirus programs ​on this list. Bitdefender Antivirus Free Edition is incredibly easy to setup and configure, uses very little system resources (it won't slow down your computer), and doesn't constantly suggest that you upgrade to their premium offerings. The sheer simplicity of Bitdefender Antivirus Free Edition, both during installation and when in use, make it one of the better of the best free antivirus programs. Antivirus Free Edition by Bitdefender fully supports Windows 10, Windows 8, Windows 7, Windows Vista, and Windows XP. A slightly different version of the program is available for Mac systems. Detects viruses, spyware, rootkits, and other malware. Includes a game mode (silent detection). Disable real-time scanning for any application. A full scan on the computer takes a long time. Configuration is tricky for novice users. Comodo Antivirus from Comodo Security Solutions is another excellent program, easily one of the best free antivirus options out there. Comodo Antivirus protects you from several threat sources, just as most of the other free antivirus programs on this list do. Comodo Antivirus ranks as a best free antivirus solution almost solely because of its Defense+ technology that, by default, assumes unknown files are threats instead of safe. That sounds like it might cause problems but Comodo Antivirus utilizes some other technologies to make the whole process silent but still very effective. Comodo Antivirus officially supports Mac computers as well as Windows 10, Windows 8, Windows 7 and Windows Vista. Anti-virus, firewall, and web filtering. The user interface feels outdated. FortiClient is an antivirus, web filtering, firewall, parental control, optimization, (and then some) program that's powerful enough for a business to use. It's more accurately referred to as a "threat management" tool. While that might all sound really complicated, especially considering that you probably only have one computer you're worried about, FortiClient is really easy to setup, automatically updates its virus definition files, does a full system scan once per week, and much more, all without you ever having to worry about it. FortiClient supports Windows XP and newer Windows operating systems, which includes Windows 10, Windows 8, and Windows 7. It can also run on macOS, Chromebook, and mobile devices. Real-time online protection with Immunet Cloud. Basic scanning, detection, and removal. No scheduled or offline scans. Doesn't detect viruses on USB drives. Immunet is a unique, cloud-based antivirus program that's a bit like Panda Dome below. Immunet protects your computer from bots, worms, viruses, Trojans, keyloggers, and spyware. I think Immunet is one of the best free antivirus programs for several reasons: you never have to update it, it has completely free telephone based support, and it can be run alongside some of the other best free antivirus tools in this list, increasing your overall protection. Immunet can run on Windows 10 down through Windows XP. Provides constant virus, spyware, and other malware protection. Virus definitions are updated regularly. No control over the timing of updates. Security Essentials from Microsoft is definitely one of the best free antivirus programs available right now. Microsoft is relatively new to the antivirus game but don't let that scare you - Security Essentials is a fantastic antivirus program that protects you from all sorts of malware, updates automatically, and is incredibly easy to use. Two of the biggest reasons we added Microsoft Security Essentials to this list of the best free antivirus software is because it's available directly from Microsoft and because it's very easy to see if your computer is secure from threats: if the icon next to your clock is green, you're good; if it's red, something is wrong. Microsoft Security Essentials supports Windows 7 and Windows Vista. The anti-malware protection in MSE is part of the built-in Windows Defender tool in Windows 8 and 10, while Windows XP is no longer supported. Silent mode for gaming or watching multimedia. Offers to load unnecessary third-party apps during installation. Panda Dome (previously called Panda Free Antivirus) protects you from several kinds of malware threats - viruses, worms, Trojans, adware, and more - just like all the other free antivirus programs in this list. What makes Panda Dome one of the best free antivirus programs is that it does its job from "the cloud" meaning the hard antivirus work that typically slows down a computer is done on computers elsewhere on the Internet, freeing up your computer to work like it should and protecting you from malware even better. Panda Dome supports Windows 10, Windows 8, Windows 7, Windows Vista, and Windows XP. Not all features included in free edition. Interface has too many options. Uses a lot of system memory. ZoneAlarm Free Antivirus + Firewall is just that — a combination free antivirus and firewall tool. Check Point Software, the makers of ZoneAlarm Free Antivirus + Firewall, have been in the firewall business for a long time. They make good software and this program is no exception. While we didn't notice anything spectacular about the antivirus portion of this program, having an antivirus and firewall tightly integrated has its benefits. ZoneAlarm Free Antivirus + Firewall should work with all recent versions of Windows. Which Free Antivirus Program Is the "Best of the Best"? As you can see from our list above, there are several fantastic free antivirus choices, but which one really does the best job at preventing your computer from becoming infected? Fortunately, a company by the name of AV-TEST independently examines a number of free and paid antivirus programs and ranks them for protection, performance, and usability. See their Detailed Test Reports for rankings. Antivirus makers regularly update their programs, so AV-TEST routinely publishes updated test results.